Stens 285-949 Spindle Assembly, Wright Mfg. 6 7/8" Height, 5/8" ID, 5 1/4" OD, 1/4" Keyway Width. Replaces OEM Wright Mfg. 71460126, 71460136. Fits models Wright Mfg. Stander ZK, Stander X and Sport X.
Stens 285-556 Caster Yoke, Exmark & Toro. 8 7/8" Width, 14 7/8" Length, 1/2" ID, Shaft Size 1. 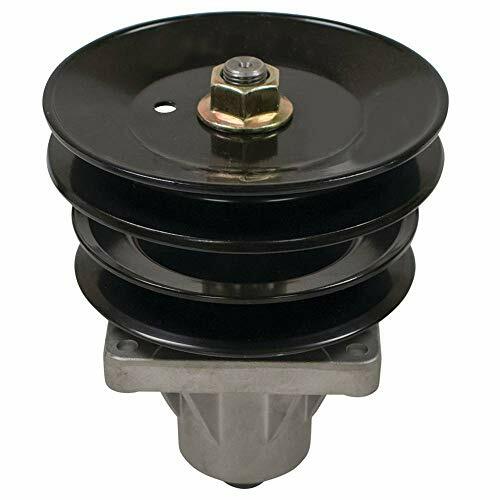 Replaces OEM Exmark 116-8888, Toro 116-6707-01, 116-8888. Fits models Exmark Lazer Z Triton Decks, Serial No. 600,000 and higher and Next Lazer Z Serial No. 790,000 and higher with 52", 60" and 72" decks, Toro most Z Masters with 60" and 72" decks. 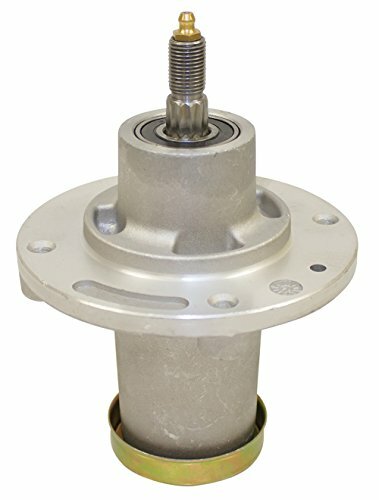 Stens 285-888 Spindle Assembly, John Deere. 6 3/4" Height. Replaces OEM John Deere TCA24881, TCA51058. 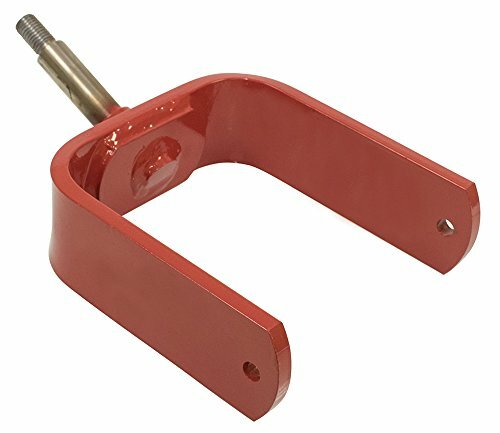 Fits models John Deere 1505, 1550, 1570, 1575, 1580, 1585, 1600, 2032R, 2036R, 2038R, 3033R, 3038R, 3039R, 3045R, 3046R, 3120, 3320, 3520, 3720; and 997 and Z997R Ztraks. Stens 285-931 Spindle Assembly, Exmark. 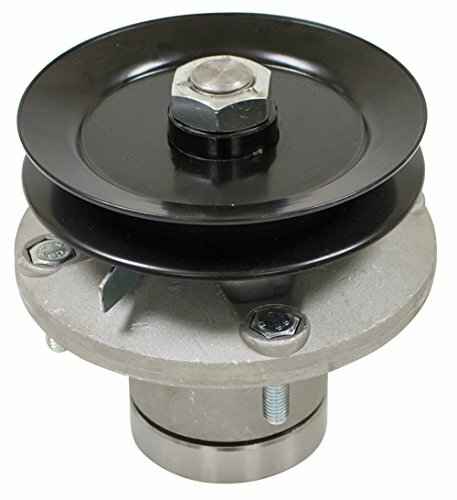 6 1/2" Height, 5 1/2" OD, 6 1/2" Pulley Outer Diameter. Includes blade bolt and washer. 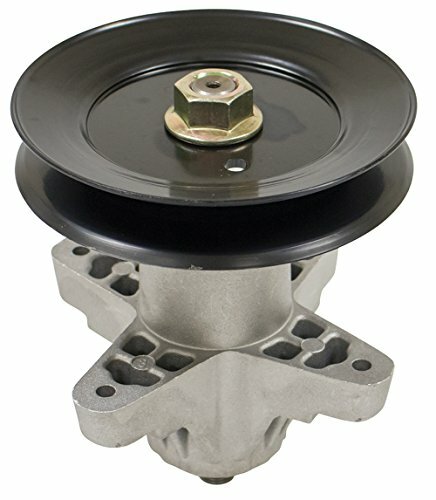 Replaces OEM Exmark 103-3200, 103-8075. Fits models Exmark Turf Ranger 52" and 60" deck, Serial No. 510,000-599,999; Turf Tracer 52" and 60" deck, Serial No. 510,000-599,999; Lazer Z AC, AS, LC, XP, XS with 52", 60" and 72" deck, Serial No. 510,000-599,999. 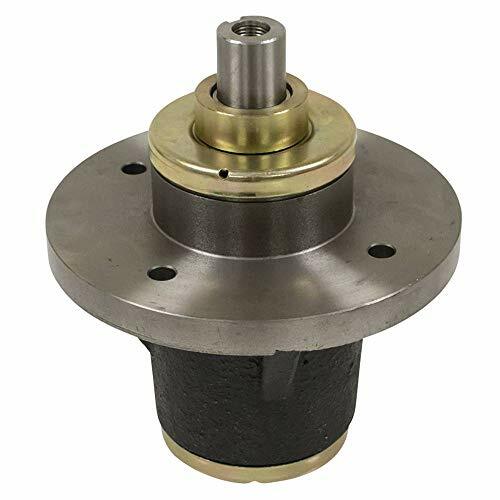 Stems 285-157 Spindle Assembly, Cub Cadet. 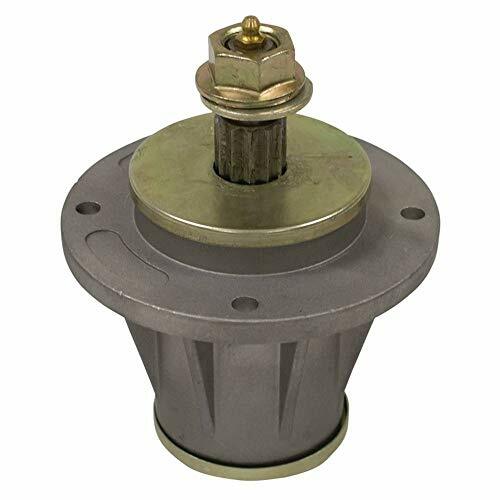 6 15/16" Height, 5 11/16" Pulley Outer Diameter. Includes nut, spacer, and pulley. 6 point star design. No threads in housing, use self-tapping screws (not included). 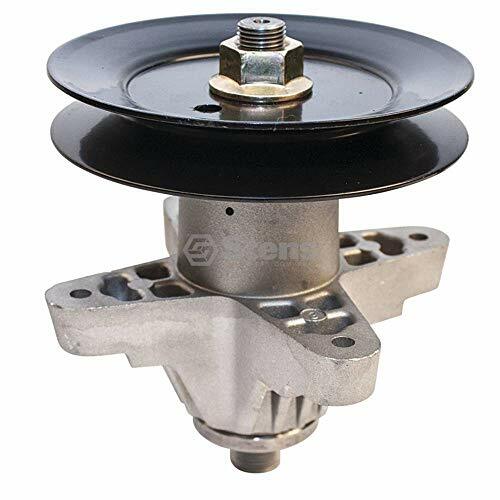 Replaces OEM Cub Cadet 618-05137, 918-05137, MTD 618-05137, 918-05137, Toro 119-8445. 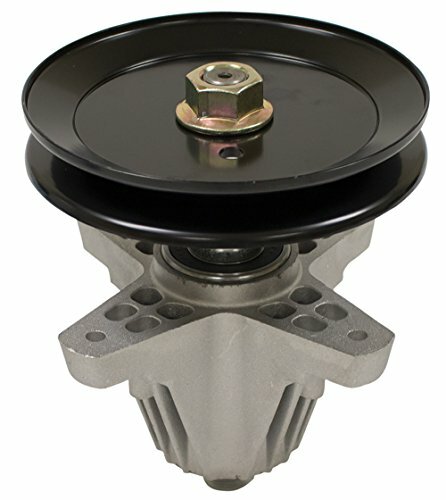 Fits models Cub Cadet RZT-S54, MTD Z6600 and ZT-L54, Toro 13AX90RS848 and 13AX91RS848, Troy-Belt Mustang 54 XP. 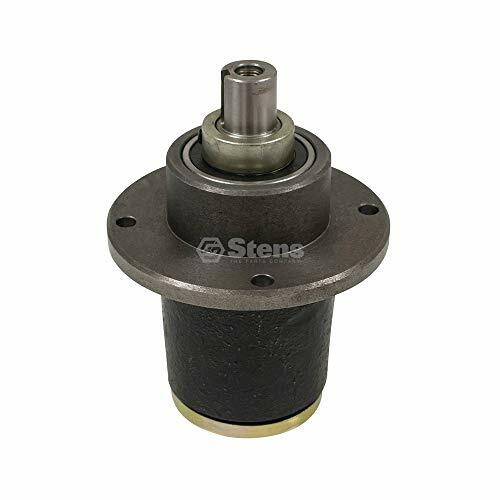 Stens 285-231 Spindle Assembly, John Deere. 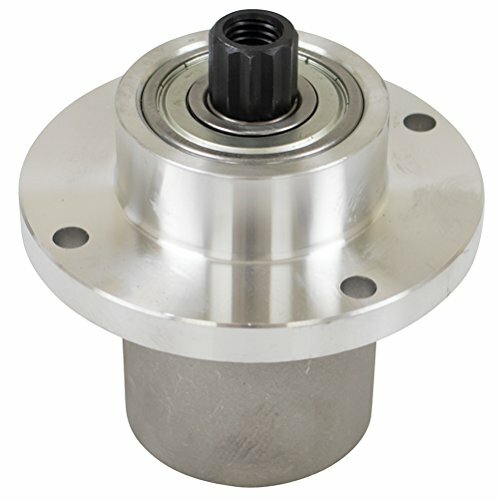 4 11/16" Height, 4 3/4" Pulley Outer Diameter. Pulley included. Replaces OEM John Deere AM108925. Fits models John Deere LX172, LX173, LX176, LX178, LX186 and LX188. Stems 285-951 Spindle Assembly, Bad Boy. 7 5/8" Height, 1/4" Keyway Width. Replaces OEM Bad Boy 037-6015-00, 037-6015-50. Fits models Bad Boy CZT with 42"-60" deck; Pup and Pup Lightning with 48", 52", 60" and 72" deck; and ZT series with 50" and 60" deck. Stems 285-945 Spindle Assembly, Husqvarna. 6 3/8" Height. 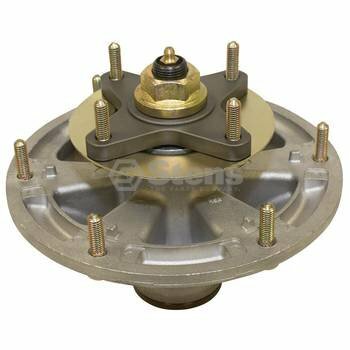 Replaces OEM Husqvarna 539114821, 539131383, 966956101. 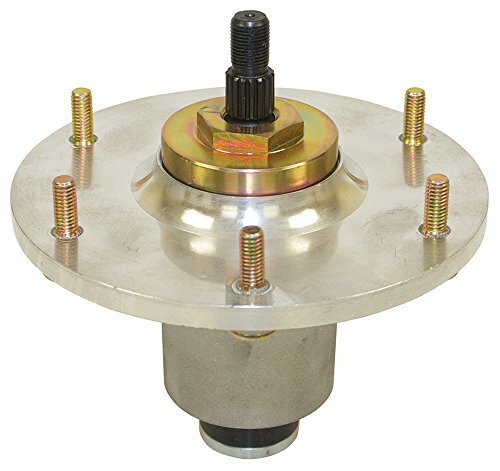 Fits models Dixon Kodiak, Husqvarna TRD 52, TRD 72, TRD 48, FR 61, LZ 25, LZ 5225, LZ 5227 and LZ 6127. 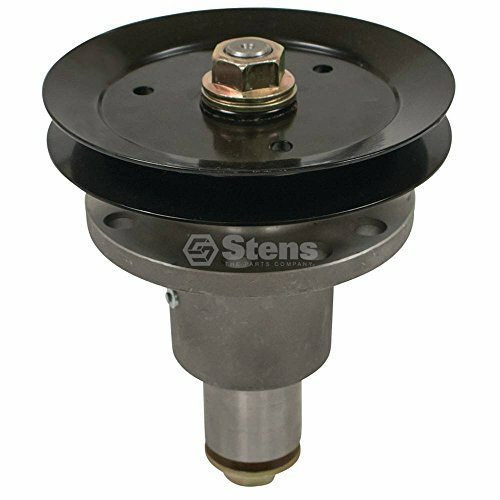 Stens 285-748 Spindle Assembly, Toro & Yardman. 6 7/8" Height, 5 5/8" OD. 6 point star design. No threads in housing, use self-tapping screws (not included). Replaces OEM MTD 618-04134, 618-04134A, 618-04134B, 618-04134C, 618-04134D, 918-04134, 918-04134A, 918-04134B, 918-04134C, 918-04134D, Toro 112-0383. Fits models MTD LT5 and RT99 with 46" deck, Toro LX460, LX465 and LX466, Yard Machines LT5 and RT99 with 46" deck, Yardman LT5 and RT99 with 46" deck. 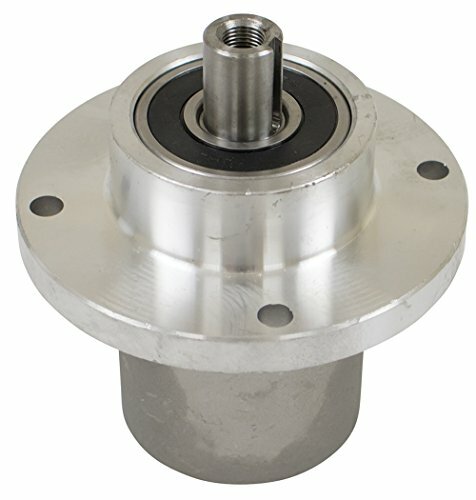 Stems 285-867 Spindle Assembly, Cub Cadet. 6 1/8" Height, 5 1/2" Pulley Outer Diameter. Pulley included. 6 point star design. No threads in housing, use self-tapping screws (not included). Includes grease zerk. Replaces OEM Cub Cadet 618-04126, 618-04126A, 918-04125, 918-04125B, 918-04125C, 918-04126, 918-04126A, 918-04126B, Massey Ferguson 618-04126, 618-04126A, 918-04125, 918-04125B, MTD 618-04126, 618-04126A, 918-014126, 918-04125, 918-04125A, 918-04125B, 918-04125C, 918-04126, 918-04126A, 918-04126B, Toro 1120370, Troy-Bilt 618-04126, 618-04126A, 918-04125, 918-04125B, 918-04125C, 918-04126, 918-04126A. Fits models Cub Cadet i1050, LT, SLT and RZT with 50" deck using special design for 6 point star center hole, MTD i1050, LT, SLT and RZT with 50" deck using special design for 6 point star center hole, Toro GT2100, GT2200 and LX500. Stems 285-917 Spindle Assembly, Bad Boy. 7 5/8" Height, 1/4" Keyway Width. Replaces OEM Bad Boy 037-4000-50, 037-8000-00. Fits models Bad Boy Outlaw, Outlaw Extreme and Outlaw XP with 54", 61" and 72" deck and Stand-On with 48", 54" and 61" deck. 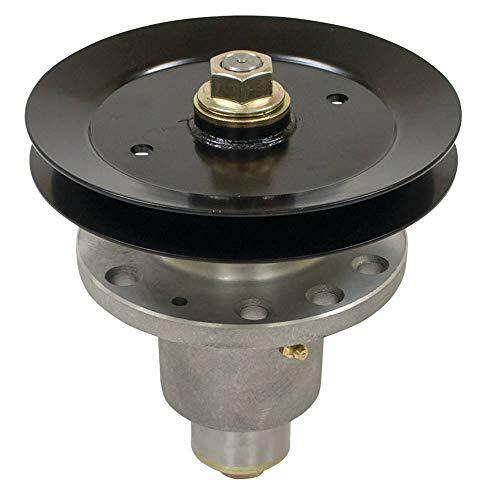 Stens 285-941 Spindle Assembly, Exmark. 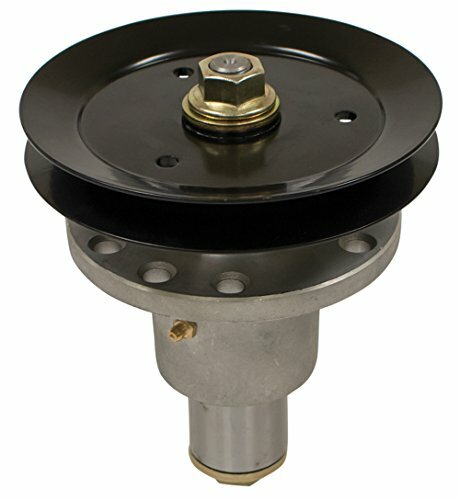 7" Height, 6 3/8" Pulley Outer Diameter. Pulley included. Replaces OEM Exmark 103-1140. Fits models Exmark Lazer Z HP with 48" deck. Stens 285-933 Spindle Assembly, Exmark. 6 1/2" Height, 7" Pulley Outer Diameter. Pulley included. Replaces OEM Exmark 103-1184. Fits models Exmark Lazer Z HP with 52" deck, Serial No. 260,000 and higher. 2) Please make sure the size and the shape of this item are fit for your equipment before purchase. 1) Made of quality material, durable. 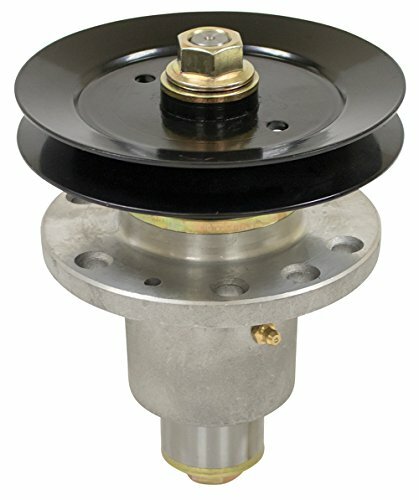 Stens 285-887 Spindle Assembly, Exmark. 7 1/2" Height. Replaces OEM Exmark 109-6917. Fits models Exmark Next Laser Z LZDS902K, LZD25KD605, LZDKD725, LZS29PKA606, LZX23KD605, LZDKD725 and LZS29PKA606. 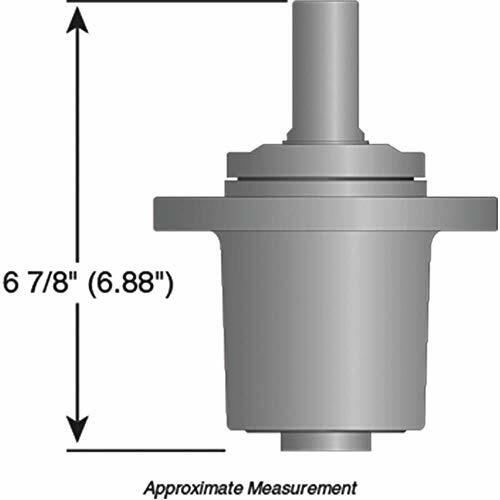 Stens 285-937 Spindle Assembly, Exmark. 6 1/2" Height, 6" Pulley Outer Diameter. Pulley included. Replaces OEM Exmark 103-1183. Fits models Exmark Lazer Z HP with 44" deck.